…Cairo stories night projection, Sharjah Biennale, 2011. Photo: Christoph Knoch Raumaufnahme. …Cairo stories continues an on-going series of ‘as-told-to’ recorded stories, based on personal interviews. Initiated in 2003 at the beginning of the Iraq War, the project explores the many different ways that Cairene women negotiate the ideological, cultural and economic conditions that are specific to Cairo. Drawing on hundreds of hours of recorded interviews, Barry filmed actors recounting extracts of individual narratives. 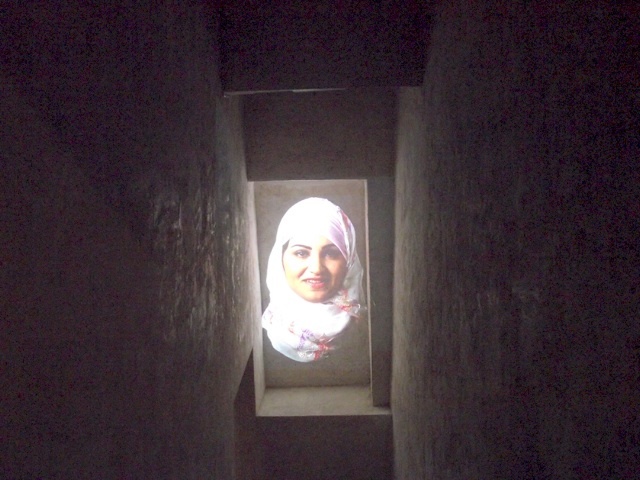 The project premiered at the Sharjah Biennial in 6 sites around the city of Sharjah in Spring 2011.